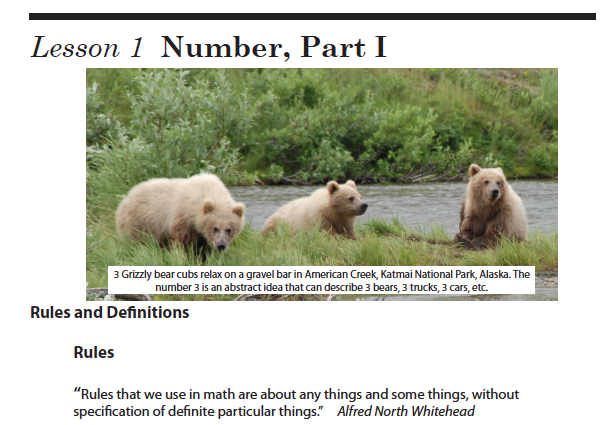 The following is the sixth in a series of posts covering Shormann Mathematics, Algebra 1, the newest product from DIVE Math and Science! Click here to read the complete document that covers Shormann Math core ideas, course description, and Algebra 1 table of contents. 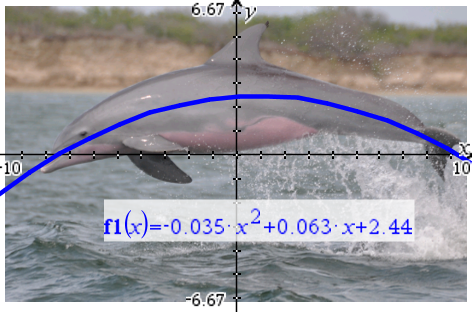 Mathematics has so many uses, including modeling the beautiful arcing leap of a bottlenosed dolphin! Image ©2009 by David E. Shormann. Shormann Math teaches students that mathematics is the language of science, and therefore an important tool for unlocking mysteries and revealing the amazing beauty found in God’s creation. It is also an important tool for interacting with others, such as when buying and selling things. Shormann Math will train students to become skillful at using mathematics in a way that will help them become productive members of God’s world, using their talents to serve Him and serve others. Shormann Math teaches students what mathematics is, and how to solve problems using mathematical concepts. Problem solving is simply the application of mathematical concepts in new situations. It is about building on foundations that have already been laid, using mathematical tools developed over the centuries and applying those in new situations to solve problems. This is the essence of deductive reasoning, which is simply about applying rules. Mathematics is primarily deductive in nature, while scientific investigations are inductive (about finding rules). What follows is a partial list of areas that mathematics is used, and that you may see covered in a Shormann Math Practice Set. At least one problem in each Practice Set will be about one of these areas. If you don’t see an area you think we should cover, let us know. One thing is for certain, Shormann Math students will not be asking the “what am I ever gonna use this for” question regarding math!